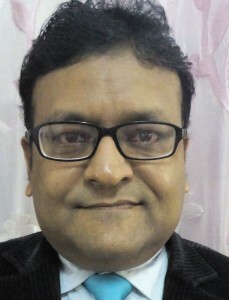 Dr. Manish Mittal has 22 years of experience as corporate manager, faculty member and administrator which includes 6 years of Industrial experience (at Grasim Industries, Beta Naphthol, Rama Phosphates etc.) and 16 years of academic experience in teaching, training, research & consultancy at IPS Academy & Daly College Business School. He is Ph. D. guide at Banasthali University & Pacific University and 4 students are pursuing their doctoral research under his guidance. He has 8 International & 30 National papers to his credit. He has conducted 5 MDPs/FDPs and has attended many International & National conferences. His areas of research are Behavioral Finance, Investment Psychology, Banking and Corporate Finance.